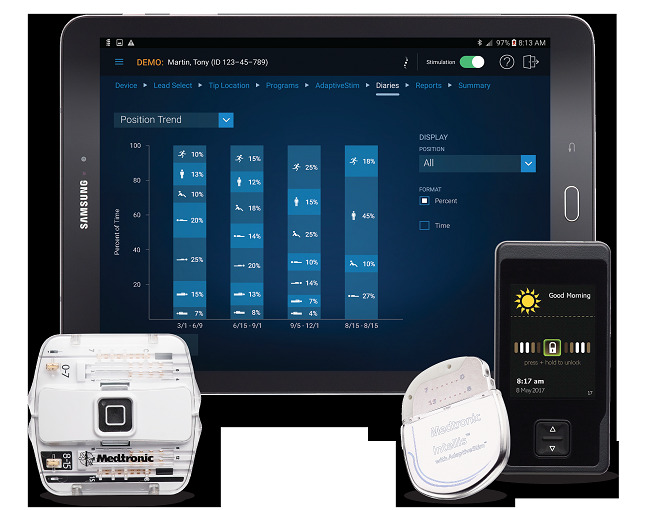 Medtronic has secured the US Food and Drug Administration (FDA) approval for its next generation spinal cord stimulator branded as Intellis platform for the management of certain forms of chronic intractable pain. Following the approval, the Irish medical device company has launched Intellis platform in the US which it says features the smallest implantable spinal cord stimulator in the world. According to Medtronic, the Intellis platform can optimize treatment and facilitate better patient-physician communication by monitoring and sharing daily activities, body positions and therapy usage while providing physicians an objective look at the patient’s mobility and progress. The Intellis platform was designed to address shortcomings like battery performance with existing spinal cord stimulation (SCS) systems. Medtronic says that the battery performance issue has been addressed through its Overdrive battery technology which enables the battery to be 100% recharged from empty to full in nearly 60 minutes. The Intellis platform can also power the Evolve workflow and can record and track patient activity round the clock. All that can be managed on the Samsung Galaxy Tab S2 tablet interface says the Irish firm. Medtronic senior vice president and Medtronic pain therapies president Marshall Stanton said that the Intellis platform combines cutting edge hardware with optimal therapy through the Evolve workflow to provide personalized, long-term pain relief. Stanton added: “Medtronic is committed to addressing patient needs, so the Intellis platform was designed based on what is most important to patients and physicians. Using the Intellis platform, physicians can monitor progress and make modifications to better suit the therapy requirements of their patients. As a result, they can tackle the subjective and personal nature of chronic pain. Image: Medtronic's Intellis Spinal Cord Stimulation Platform. Photo: courtesy of Medtronic plc.